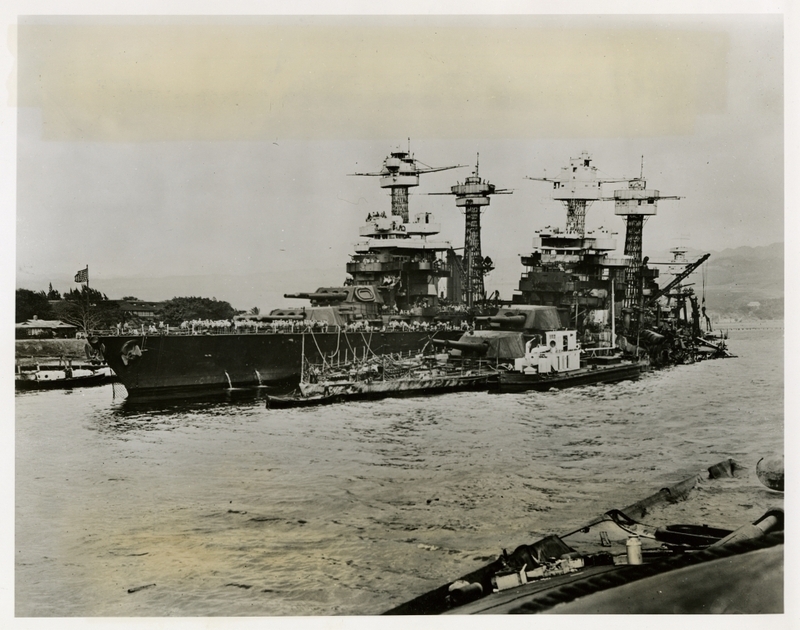 This port quarter shot of the USS West Virginia, taken from the capsized USS Oklahoma, shows a general view of the damage to the West Virginia, sunk in the attack. This photograph is part of a series of photographs from the U.S. Senate investigation of the Japanese attack on Pearl Harbor, 7 Dec. 1941. Case, Betsey Brewster; Brewster, Whittimore. October 1, 1995.